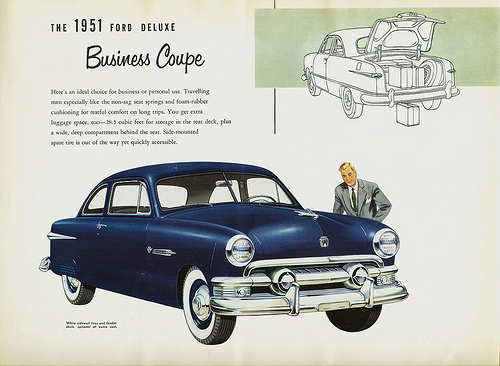 Back in 1953, Pam’s father Al was in the service in Texas when he bought his first car, a 1951 Ford Business Coupe. Part of the story that stuck with Pam is that the coupe didn’t have a back seat when he bought it because it was a salesman’s car. He put a back seat in it and drove for nine years. We have put out requests and tried to make plans to get a ride but with little success, so we are appealing to you, dear readers. The car should be located near Connecticut and Pam will pay for an afternoon out. If you or someone you know is willing to hire their car out, have them email us. Although this won’t be a Christmas present anymore, he is going strong and Pam would like to arrange a ride this coming spring.